The EV5 is able to provide crisp and clear mono style images with its 4" screen display. It also provides clear and precise duplex audio. At night 4 high intensity LEDs assist viewing which gives a clear image even at the night time hours. 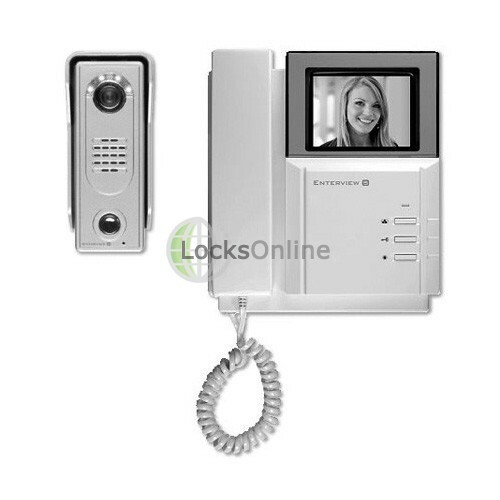 A lock release function is built into this door entry system allowing you to send signals to the door at any time. The camera built into this model is weather resistant and vandal proof. You are able to switch feeds to the camera point on demand. Two cameras in total can be added to this system. 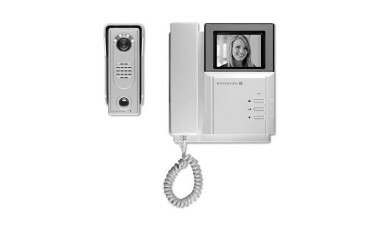 3 additional handsets can be added to this system as well as 2 audio only handsets.